What Is the Center for Clinical and Translational Science (CCTS)? The CCTS is the home for clinical and translational science in our institutions, the state of Utah, and within the Mountain West Region. It builds on our strengths in genetics and bioinformatics to translate promising bench science into practices that improve human health. 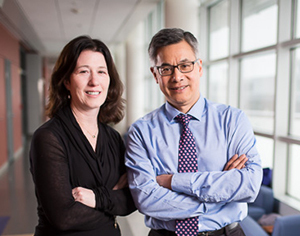 The center serves as an academic home for clinical and translational research, developing innovative health services for the community and health researchers, and training a new generation of clinical and translational investigators. Four foundations of discovery compose the center: Clinical Trials Support, Population Health, Precision Medicine, and Workforce Development, and these foundations provide support for T1 to T4 research. To speed scientific solutions for the national opioid public health crisis, focusing on pain management and treatment for opioid misuse and addiction.